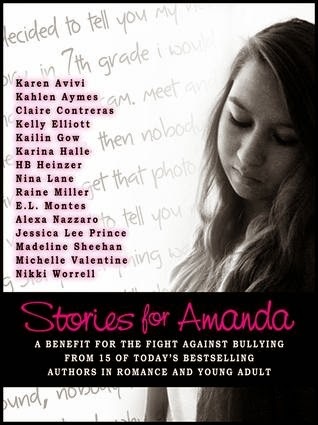 Check out this awesome book in support for the fight against bullying. Amanda Todd was a young girl who dealt with bullying for three years. Lured into a bad decision by a cyber-stalker when she was only 12 years old, she was mercilessly targeted online and in real life over and over again, until it became more than she could deal with. If you don't know Amanda's story, you can search her on YouTube and see a video she made 3 weeks prior to taking her own life (she tells her story) because of 3 years of vicious bullying. When people try to bring you down, it’s because you’re above them. You only need one person to believe in you… that person is YOU. 100% of the proceeds from sale of this book will be donated toward that vision. The authors are humbled and proud to offer our support to this very worthy cause. 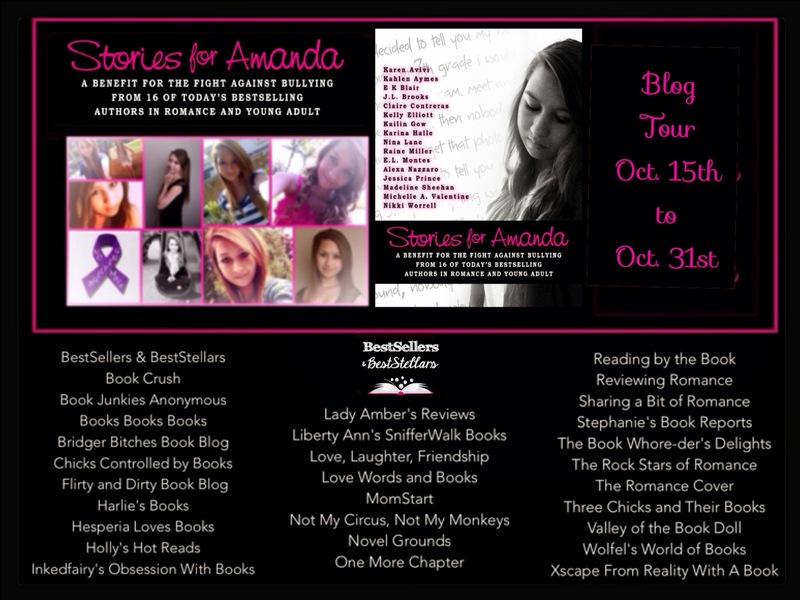 I was approached by Flirty Dirty Book Blog after the RT Convention last May about this cause so I researched Amanda's story and like so many others, was moved to tears. I have a daughter that is just a year or two younger than Amanda was when she ended her life. I asked Denise Tung... "What if we put together a book where 100% of the proceeds went to help fund the anti-bullying effort?" She was thrilled with the idea and then I reached out to some of my author- friends. The response was overwhelming and the rest, as they say, is history. These are very generous women and I feel honored to share pages with them.